There is evidence that immune-inflammatory and oxidative and nitrosative stress (O&NS) pathways play a role in the pathophysiology of myalgic encephalomyelitis (ME)/chronic fatigue syndrome (CFS). There is also evidence that these neuroimmune diseases are accompanied by hypothalamic-pituitary-adrenal (HPA) axis hypoactivity as indicated by lowered baseline glucocorticoid levels. 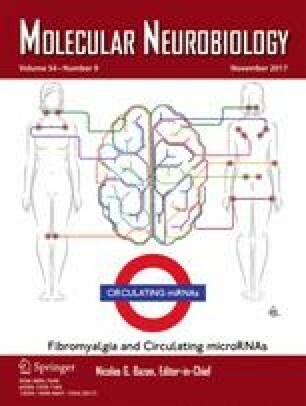 This paper aims to review the bidirectional communications between immune-inflammatory and O&NS pathways and HPA axis hypoactivity in ME/CFS, considering two possibilities: (a) Activation of immune-inflammatory pathways is secondary to HPA axis hypofunction via attenuated negative feedback mechanisms, or (b) chronic activated immune-inflammatory and O&NS pathways play a causative role in HPA axis hypoactivity. Electronic databases, i.e., PUBMED, Scopus, and Google Scholar, were used as sources for this narrative review by using keywords CFS, ME, cortisol, ACTH, CRH, HPA axis, glucocorticoid receptor, cytokines, immune, immunity, inflammation, and O&NS. Findings show that activation of immune-inflammatory and O&NS pathways in ME/CFS are probably not secondary to HPA axis hypoactivity and that activation of these pathways may underpin HPA axis hypofunction in ME/CFS. Mechanistic explanations comprise increased levels of tumor necrosis factor-α, T regulatory responses with elevated levels of interleukin-10 and transforming growth factor-β, elevated levels of nitric oxide, and viral/bacterial-mediated mechanisms. HPA axis hypoactivity in ME/CFS is most likely a consequence and not a cause of a wide variety of activated immune-inflammatory and O&NS pathways in that illness. The authors contributed equally to the writing up of the paper and the electronic database searches. The authors certify that they have seen and approved the final version of the manuscript. The authors do not report any conflict of interest. There was no specific funding for this specific study.